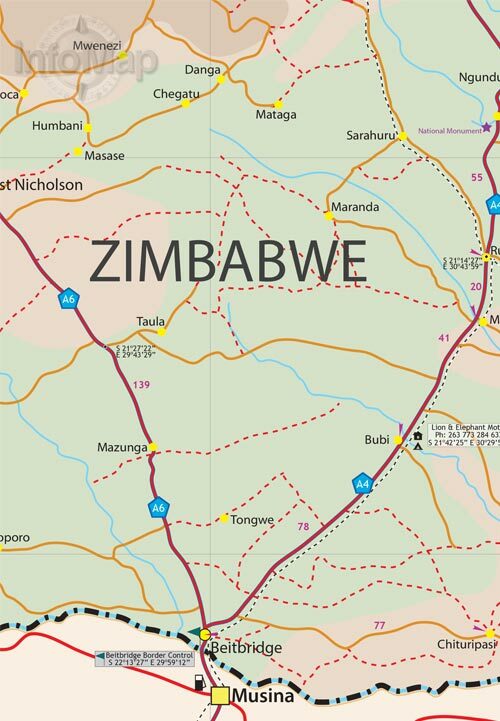 While Zimbabwe has for many years now made headlines for its economic hardships, it’s worth remembering that for a long time this country was the ‘’breadbasket of Africa’ and one of the premier wildlife destinations on the continent. 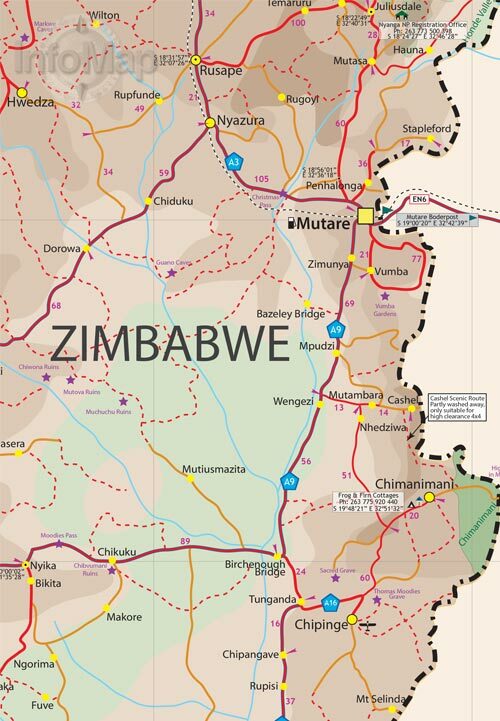 A changing political landscape in the late 90’s however, virtually caused a complete collapse in the tourism industry – a vital bloodline to the economy. 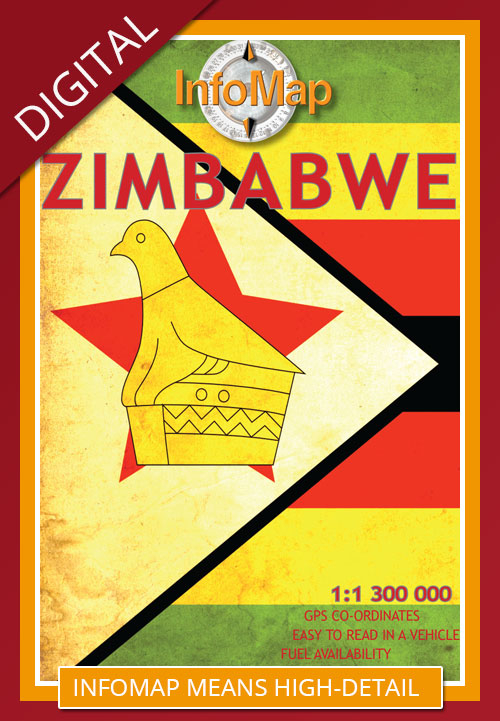 Those troubled times seem to be coming to a close and Zimbabwe is back on the tourist map. 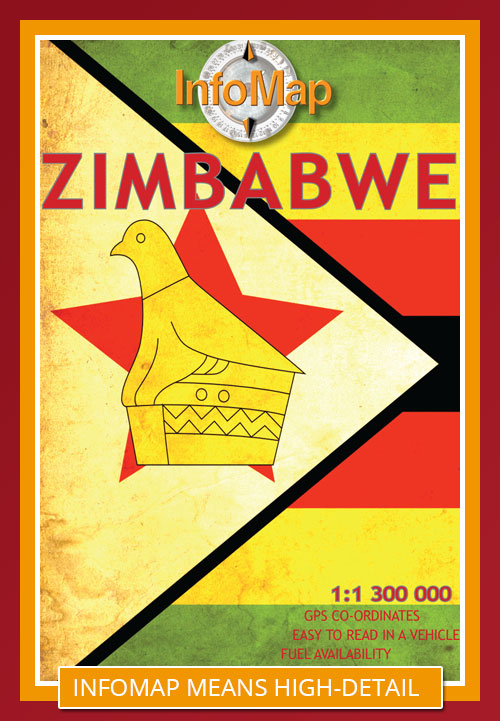 Foreign visitors are slowly rising and recently the country was voted the World’s Best Tourism Destination by the World Tourism Organisation. 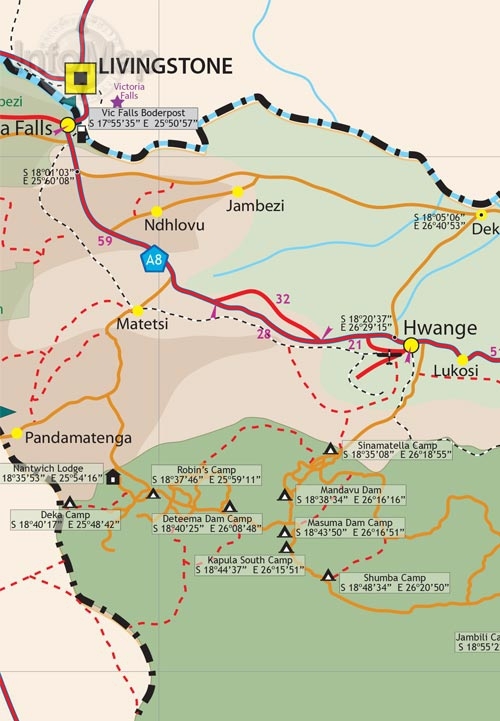 With a wealth of tourist-sites, activities and wildlife reserves, any trip to this country will be memorable. From Lake Kariba, the world renowned Victoria Falls, Hwange and Gonarezhou National Parks, Harare, Mana Pools, Great Zimbabwe and the Matopos, Zimbabwe has much to offer. 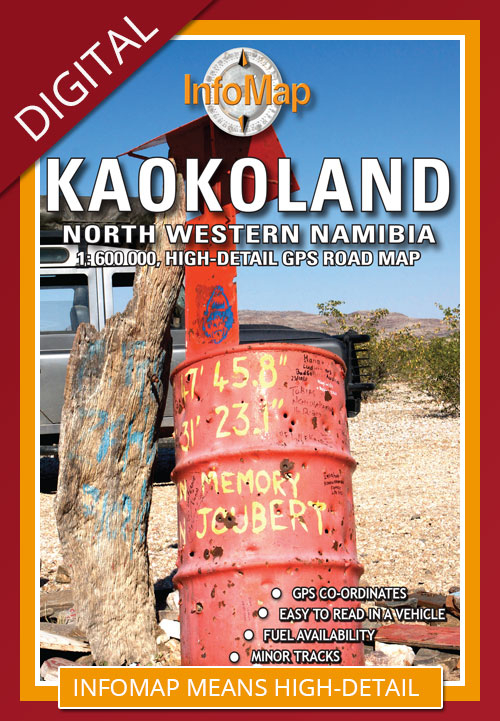 This 3rd edition has been completely redesigned and extensively updated for easier navigation. 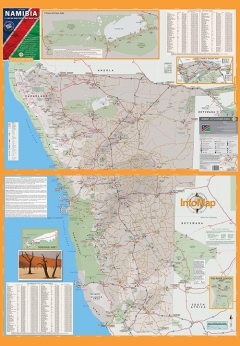 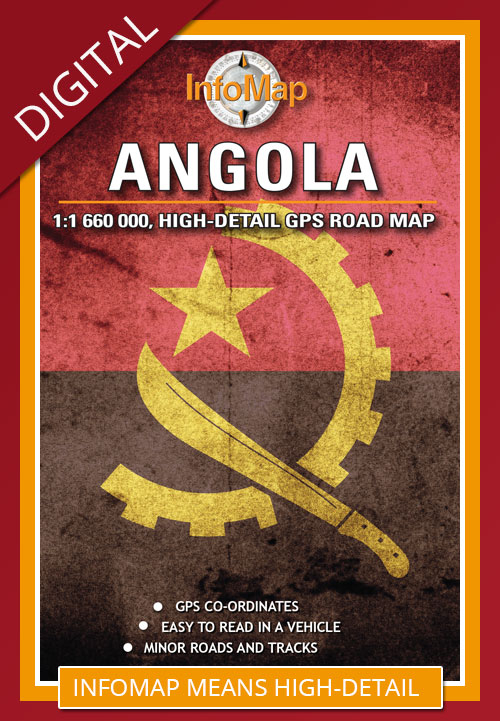 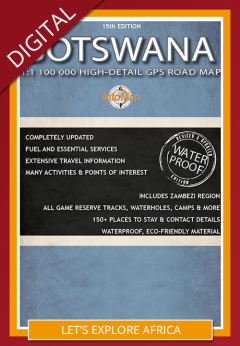 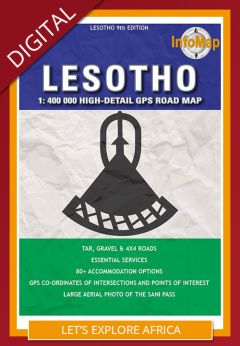 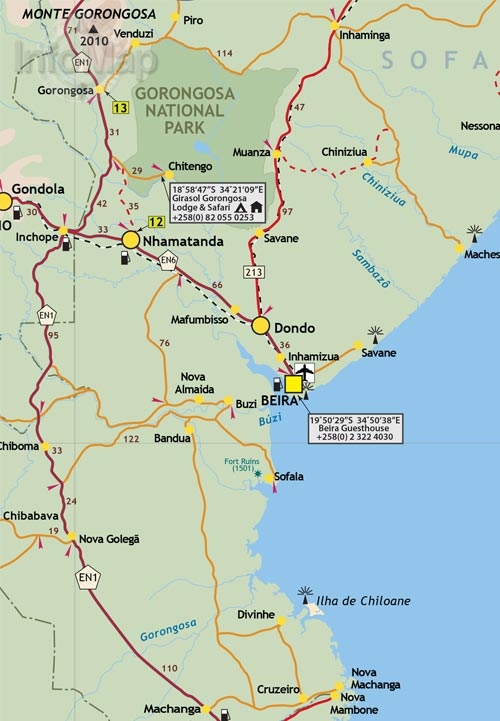 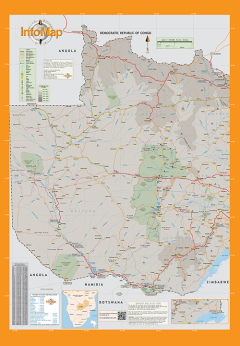 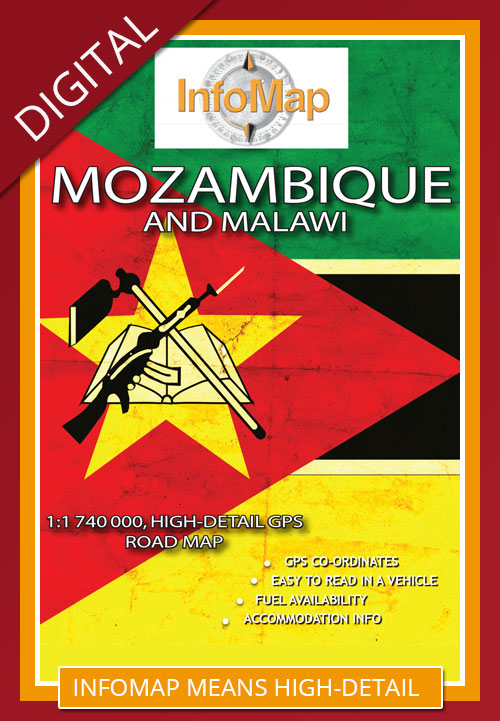 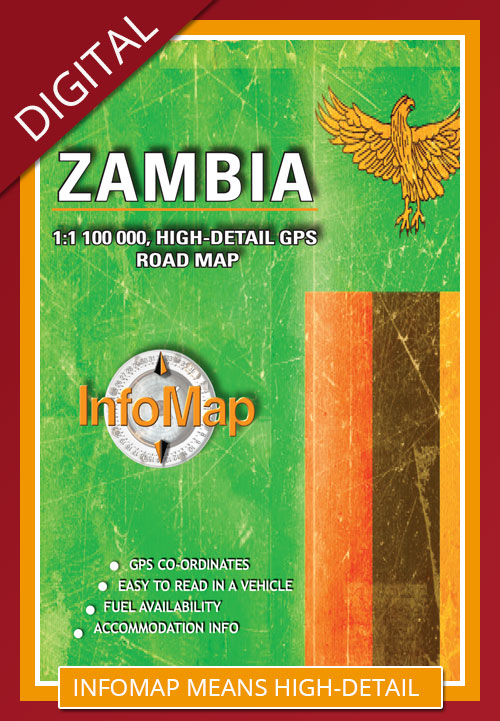 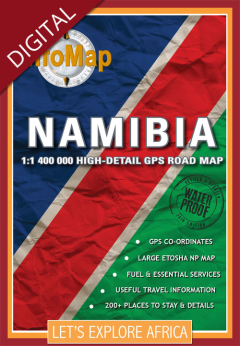 A detailed road map national roads, secondary roads and off-road tracks, it also has many useful GPS co-ordinates, travel information, national park camps and contact details. 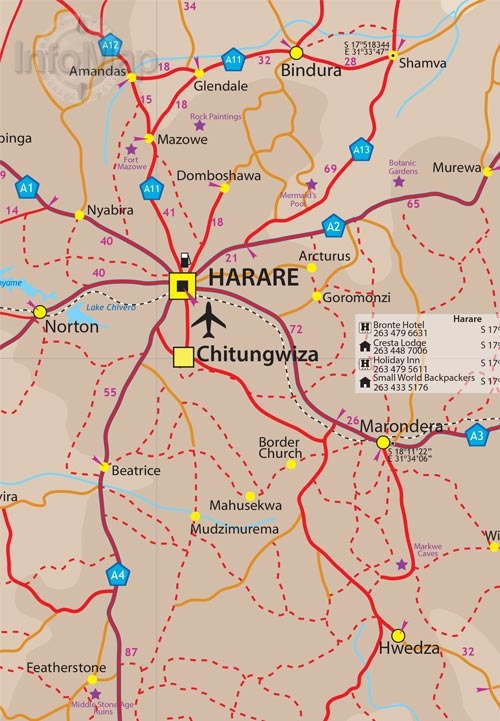 The map includes a street map of Harare.